As China’s premier search engine company, Baidu (NASDAQ:BIDU) generated a great deal of interest in recent years. Those who missed out on Alphabet (NASDAQ:GOOGL, NASDAQ:GOOG) hoped that this “Google of China” offered them a second chance through BIDU stock. This thesis has not worked out well. BIDU has remained range-bound in recent years. More recently, a trade war has led to a generalized selloff in Chinese stocks. Still, BIDU stock now trades at the lower end of this long-term range. Given the recent history of the stock, Baidu could become a lucrative trade even if the equity never breaks free of its current range. At first glance, one might think a trade dispute with the U.S. would have little impact on BIDU stock. After all, Baidu is primarily a Chinese-language search engine. As the equivalent of Google in China, its balance sheet remains strong. Analysts also expect a profit growth rate of about 9.7% this year. Unfortunately, a generalized selloff in the Chinese market has taken BIDU down as well. It currently trades at about 44% below its 52-week high. Also, BIDU stock suffers from numerous risks. The latest round of bad news comes from the Chinese government itself. Authorities have ordered Baidu and its peer Sohu (NASDAQ:SOHU) to suspend several news services for a week. The Chinese have ordered this to kick off a campaign to eliminate “vulgar” content. This serves as a painful reminder that China’s government remains a cause for uncertainty in Baidu. Also, as I mentioned in a previous article last month, BIDU stock is not stock in the company Baidu. 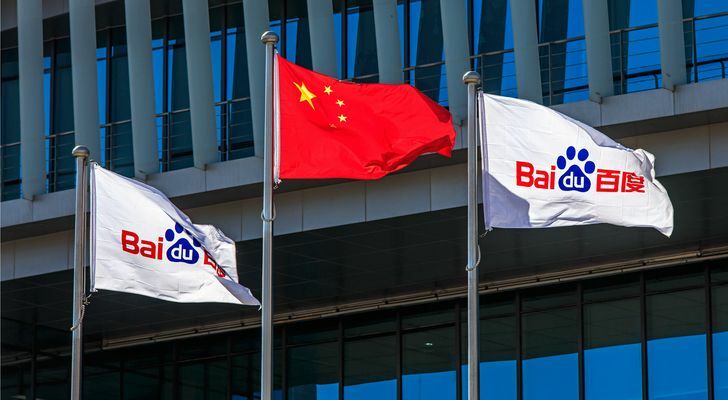 Like Alibaba (NYSE:BABA), Tencent (OTCMKTS:TCEHY), and other prominent Chinese companies, owning Baidu stock buys one into a Cayman Islands-based holding company legally entitled to Baidu’s profits. I do not think that the Chinese want the turmoil that would come from breaking such agreements. Still, investors need to consider this as a risk factor when buying BIDU. If one can stomach the deceptively uncertain nature of BIDU stock, I now see an opportunity. Since I urged caution in BIDU last month, it has fallen an additional 12%. Its current price of just under $160 per share is a value first seen on the stock in the fall of 2013. BIDU also trades at the lower end of the trading range first established in that same year. That range has risen to as much as $284.22 per share, the stock’s current 52-week high. Hence, even if it remains range-bound, this leaves the potential for a 75% profit. Moreover, stockholders need to mind the long-term price floor. Other than a downward spike into the low $130s per share range in 2015, it has usually remained above $150 per share. It will become an uncomfortable hold if it returns to that $130s per share range. If it falls below that range, investors will probably need to sell. Still, I see those risks as low. For now, the forward price-to-earnings (PE) ratio remains above 14. Barring an unpredictable and cataclysmic event, I do not think the equity will fall much further. Also, if optimism returns, BIDU stock holds potential for significant gains even if stays within its five-year range. Amid the unexpected risks, BIDU has become a trading opportunity. Despite a lack of direct exposure to the U.S., BIDU has suffered along with other Chinese stock as a trade war with the U.S. has weighed on the market. However, this has taken BIDU to the lower end of a range it has maintained since 2013. This indicates a possible trade even if Baidu remains in its trading range for some time to come. BIDU remains a play fraught with uncertainty, and time will tell whether breaks out of its range. However, for those interested in a trade, one could probably make a decent profit by buying BIDU stock at these levels. Article printed from InvestorPlace Media, https://investorplace.com/2019/01/risk-opportunity-bidu-stock/.